I'm developing technical graphics for a printed/online scientific publication using Adobe Illustrator CS5. I am trying to select a color palette that is pleasant when viewed in color and whose colors are distinguishable when printed in greyscale. As an anti-example, suppose I have two colors: #942724 (red) and #265791 (blue). They are pleasant to look at, but when these are converted greyscale, they are completely indistinguishable. I see that Illustrator comes with many Swatch Libraries and the Adobe Color Wheel provides six different color rules (e.g. Monochromatic, Analogous, Triad). 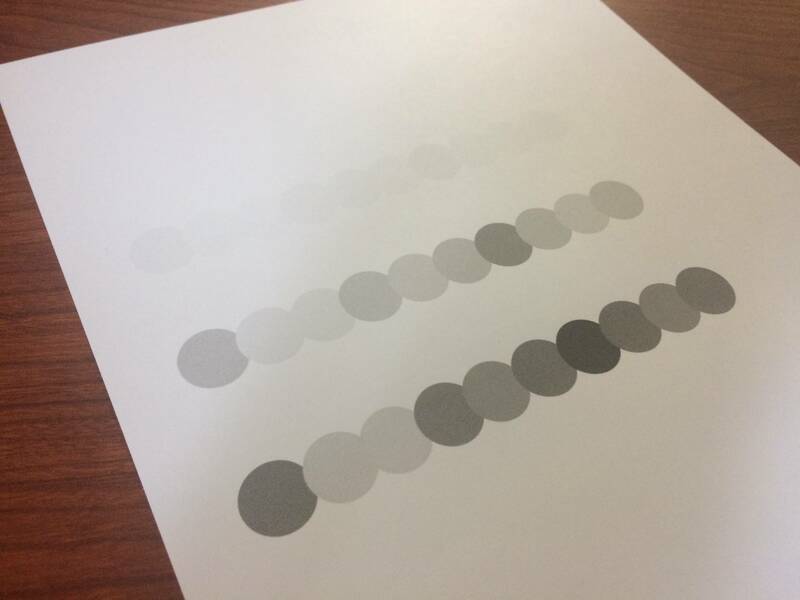 It's easy to select, say, two colors that look good in color and are distinguishable in greyscale. But I find it much more difficult with 3+ colors. Is there a general technique/rule that can be applied? How does one select a color palette that is versatile enough to look good in color and be distinguishable in greyscale (or even B/W) print? First, think in terms of Hue/Saturation/Value instead of RGB or CMYK. Value represents how much black is in the color, or how 'dark' an image is. The lower the Value, the darker the color. Value has by far the most effect on the appearance of a color in the B&W space, and you can generally assume that colors with widely different Values will be very visually distinct. Hue is the least most important setting for black & white, and represents the color being used for the... color. Saturation is the second most important setting for black & white, and represents how much white is in the color. Generally it's thought of as how much color is mixed into the image, with higher values appearing closer to 'pure' colors. For B&W, generally the higher the saturation, the darker the B&W display. Random Aside: If you use the 'Black & White' filter in Photoshop, the default settings take into account the visual variance between different hues. If you set all the settings to the same value and apply it to the above image, the color lines will all be the same. 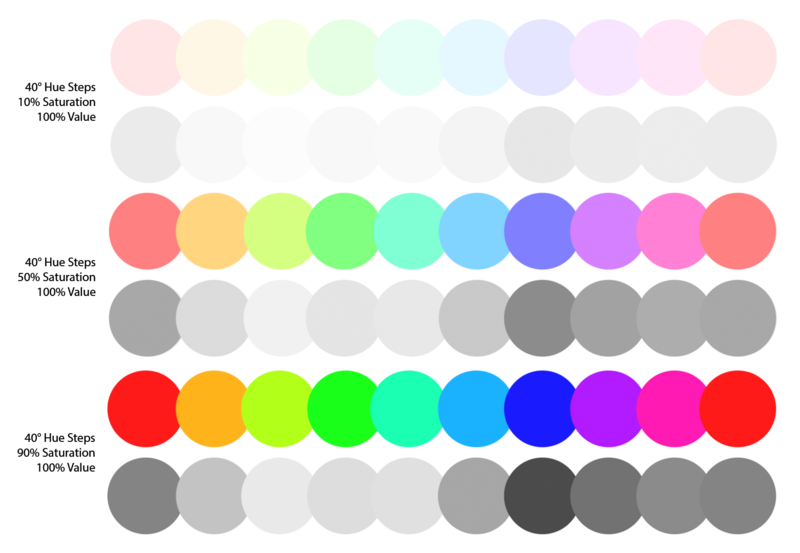 What are 6 colors which are also well-distinguishable in grayscale? What is the relationship between hue, saturation and value? How do I work with a logo that has what seems like too many colors? Which colors to use besides black & white for colorblind users? What is the process for creating a color palette like this? Better ways to visualise a box of uncertain colour when the possible colours are complementary? Distinct palette for translucent markers over greyscale image? Is there a standard for color wheels?